If you are looking for a new gadget bag then the LiveFree wireless charging backpack might be worth more investigation and includes a number of features to help you keep your gadgets charged while you travel. 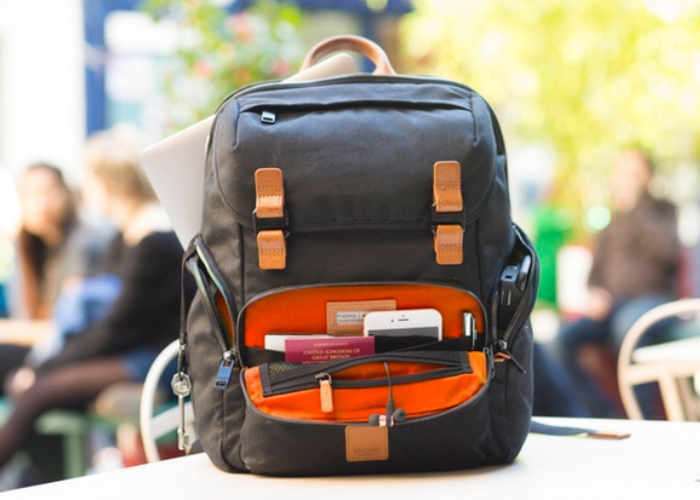 The LiveFree Backpack is equipped with Bluetooth tracking, unique device protection and organisation features as well as the already mentioned wireless charging capabilities all enclosed in a water repellent material. The LiveFree Backpack has this week launched by a Kickstarter to raise the £50,000 the team requires to go into production. We wanted to try and create the perfect 24/7 bag, and so we are excited to introduce the #LiveFree Backpack exclusively to Kickstarter. Smart enough for meetings, durable enough to take away on weekends and packed with cutting-edge technology. The #LiveFree Backpack is the ultimate companion for work, travel and play. We’ve included inductive wireless charging and location tracking to solve some of our biggest pain points, combined with hard-wearing, water-repellent British fabric, device protection and unique organisation. The #LiveFree Backpack has just the right amount of internal compartments, ensuring your belongings stay safe, dry and organised no matter where you go. For 12 years, KNOMO’s mission has been to create beautiful, intelligent, accessories that allow people to get life organised and live free. Our continual focus has been to create indispensable accessories that balance style and function. The #LiveFree Backpack is a culmination of our focus on the digital nomad lifestyle, and the thousands of reviews and comments we have received from customers on the move. For more information on the new LiveFree Backpack jump over to the Kickstarter website for details by following the link below.